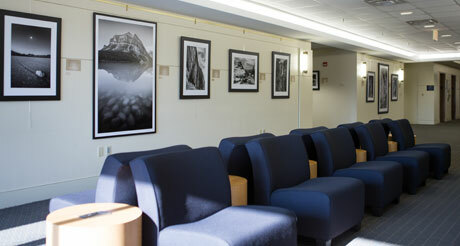 GW Virginia Science and Technology Campus hosts art exhibits in several gallery areas on Campus. The exhibits are open to the public and feature local prominent artists, local art clubs, and student artwork. For more information about current exhibits contact (571) 553-0320. Kirk is driven by his curiosity of the natural world, his use of natural materials and learning new art-making processes and techniques. 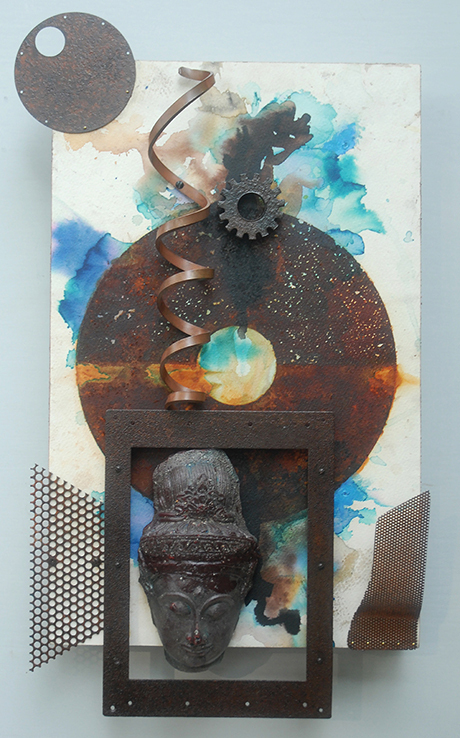 His work includes steel sculpture, stone carvings and printmaking. His foray into rust prints was an accidental discovery after he left a piece of steel on a cardboard box and weeks later discovered a pattern left by rust on the surface. Now a standard process for the artist, Kirk places a steel plate between two sheets of paper, then soaks it for six weeks in water. During that time, the steel oxidizes (rusts) and transfers that rust onto the paper. Each print is unique, and while the outcome is somewhat predictable, Kirk says the interesting and unexpected effects are what make the process enjoyable. More info. Artwork by students from Ashburn Elementary and Cedar Lane Elementary is currently on display at the University at Exploration Hall. This is part of an on-going partnership with the art education office in Loudoun County Public Schools. Limited pieces of student artwork are selected by the art teachers at each participating school and displayed on Campus. The exhibits change throughout the year and allow different schools to participate. The exhibit is open to the public through May 12, 2017 at Exploration Hall, 20101 Academic Way, Room 121, Ashburn, VA 20147. Hours are 8:00am to 9:00pm,Monday through Friday. Please contact building security at 571-553-8368 to confirm access before visiting, as the room may be occupied by students. You will need to present a current ID. 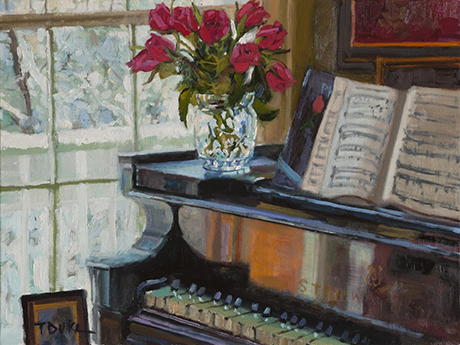 Two talented GW alumni artists, Brian Kirk and Teresa Duke, share a connection to GW. Reception to meet the artists on March 31.